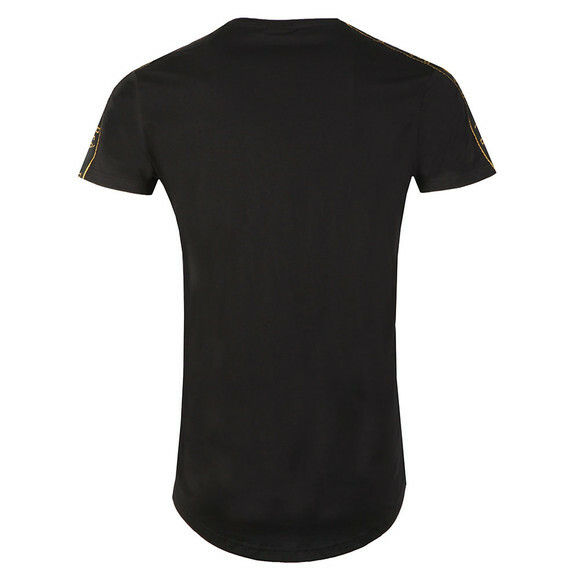 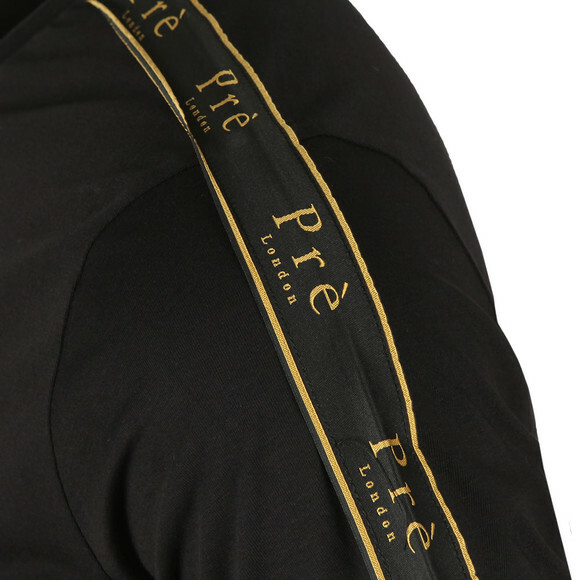 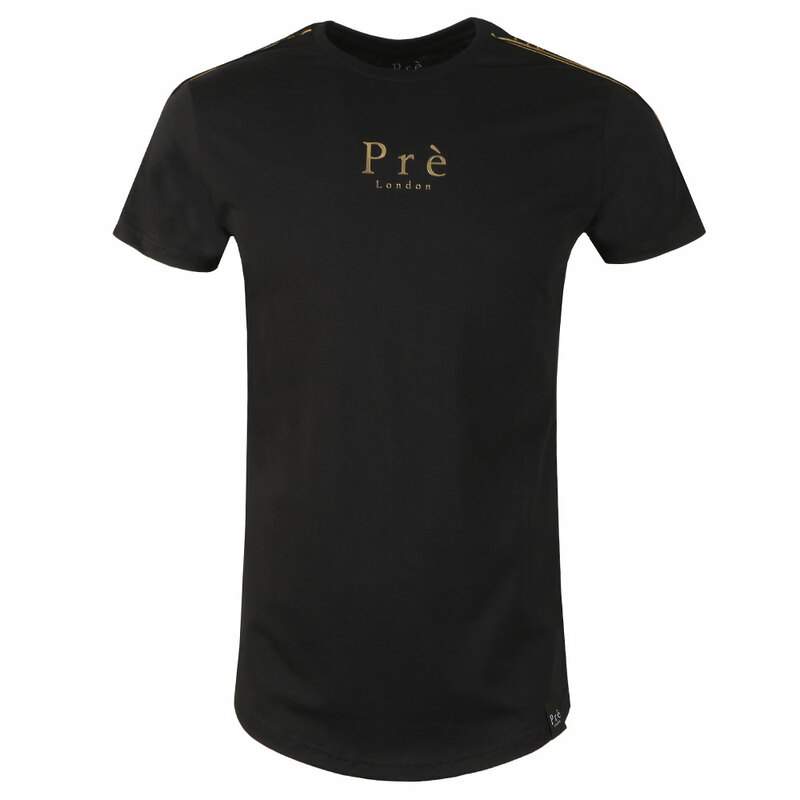 Pre Tape T-Shirt in Black/Gold. 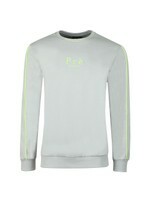 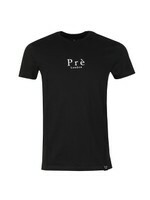 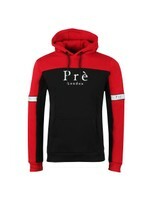 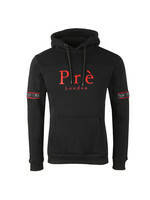 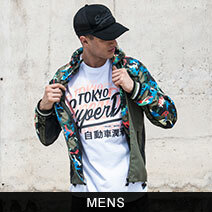 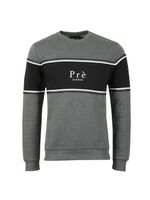 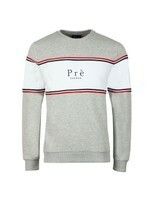 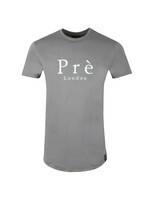 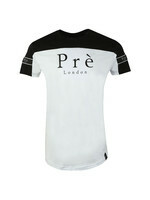 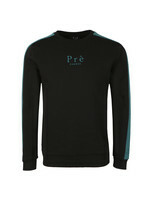 A simple crew neck t-shirt with taping on the sleeves with Pre London branding. 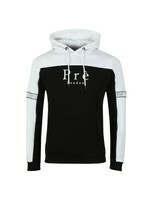 Finished with a curved hem and a large Pre chest logo.